More than 200 free add-on software’s like Wordpress, Drupal, Joomla, osCommerce etc. CPanel is a one type of integration tool and it contains Http Server, Database Server and Email Server, with a bunch of applications like as fantastico, softaculous etc. 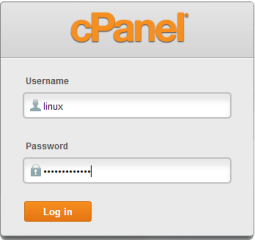 CPanel is basically designed for Linux Server. It contains MySQL database, webmail, Apache web server and PHP. Means we can say that LAMP Server with email and software bunch. CPanel provides Content Management, Customer Management, Project Management, Domain and Hosting Integration API, Chat etc. Along with CPanel, we are offering various softwares like as Blog (Wordpress, Drupal), E-commerce Payment Cart (OS-commerce, Prestashop, Cube cart etc.). In short we can say that, CPanel provides a graphical interface automation tools designed to simplify the process of hosting a web site. Due to CPanel website owners to maintain their websites. For example content, design, Emails etc.